Gaza City (Palestinian Territories) (AFP) - Hamas gunmen executed 18 Palestinians accused of collaborating with Israel in the heart of Gaza City on Friday as European governments pressed for UN action to stop the spiralling bloodshed. The Palestinian emergency services say another 76 people have died in Gaza since hostilities resumed on Tuesday following a nine-day truce. In Israel, four civilians have been wounded by rocket attacks. European governments, meanwhile, are seeking UN measures to stop the violence after frantic Egyptian diplomatic efforts failed to secure a durable ceasefire to the worst fighting in the Israeli-Palestinian conflict since a 2000-05 intifada. Israel has vowed to continue its campaign of air strikes until it can guarantee the security of millions of citizens who live in daily fear of rocket attacks, and Hamas is defiant over demands that the Jewish state end an eight-year blockade on the narrow Palestinian coastal enclave it controls. At least 2,092 Palestinians have been killed since July 8, of whom the United Nations has identified 70 percent as civilians, and 67 people have died on the Israeli side, all but three of them soldiers. In broad daylight outside Gaza's largest mosque, a day after Israel killed three of the movement's top militants, Hamas gunmen grabbed six men from among hundreds of worshippers spilling out onto the street, witnesses told AFP. They were pushed to the ground. One of the masked men shouted: "This is the final moment of the Zionist enemy collaborators," then the gunmen sprayed them with bullets. Earlier, another witness saw 11 people shot dead in a square near the remains of Gaza police headquarters, bombed by Israeli warplanes. An 18th person was shot in front of bystanders in a separate incident nearby. 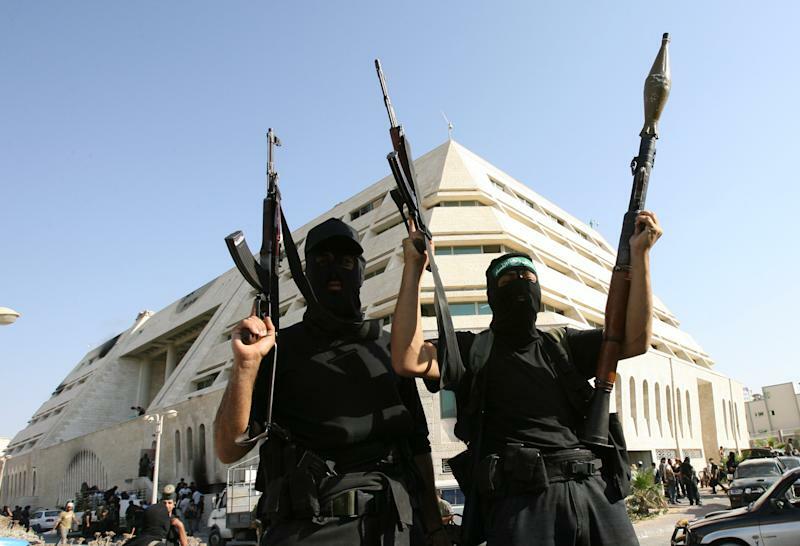 The Hamas-linked website Majd said the 11 were killed after they "gave information to the Zionist enemy". Israel said it struck around 30 targets in Gaza since midnight as 45 rocket and mortar rounds hit Israel during the same period. Another seven rockets were shot down, an army spokeswoman said. Two Palestinian men aged 22 and 24 were killed in a strike on Nusseirat refugee camp early on Friday, emergency services said. Two more were killed in an air raid near neighbouring Deir al-Balah, and a 45-year-old man died of wounds after a drone strike on Nusseirat later in the afternoon. On Thursday, Britain, France and Germany put forward key points of a new UN Security Council resolution calling for an immediate and sustainable ceasefire, and the lifting of Israel's blockade. Diplomats said the text was aimed at advancing efforts to reach agreement within the 15-member council after a draft resolution from Jordan met with resistance, notably from the United States. Washington has wielded its veto powers at the UN Security Council repeatedly in the past on behalf of its Israeli ally. But relations have been strained over the breakdown of US-brokered peace efforts and concerns over the scale of the civilian death toll in Gaza. The new resolution proposes a mechanism to monitor the ceasefire and supervise the movement of goods into Gaza to allay Israeli security concerns. It also called for the Western-backed Palestinian Authority led by president Mahmud Abbas to take back control of Gaza, seven years after his loyalists were driven out of the territory by Hamas. Abbas on Friday held a second day of talks with exiled Hamas leader Khaled Meshaal in Qatar, a Palestinian source told AFP, with no information immediately available on the content of the talks. 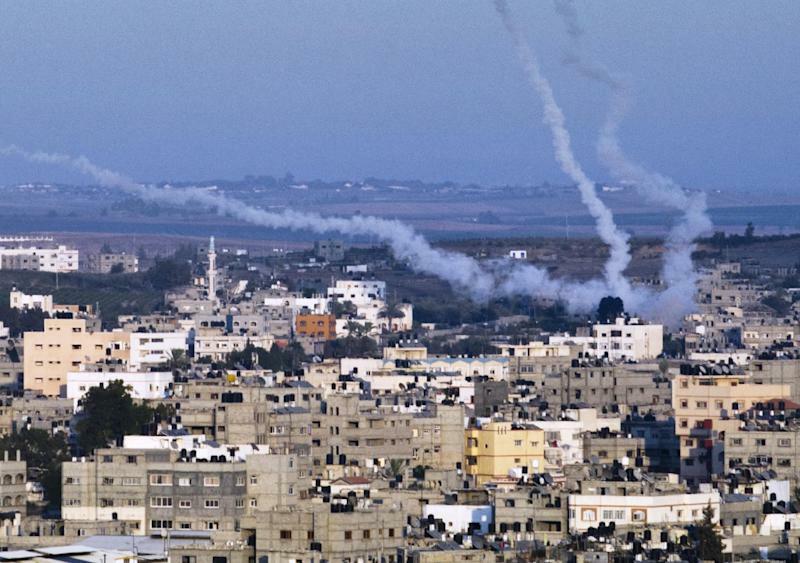 Israel showed no sign of ending its deadly campaign to halt rocket fire by Gaza militants. The security cabinet authorised the call-up of up to 10,000 army reservists in a new troop rotation, media reported. Finance Minister Yair Lapid, regarded as one of the less hawkish members of the security cabinet, threatened further deadly attacks on Hamas commanders after three leading militants were killed in a pre-dawn strike on Thursday. 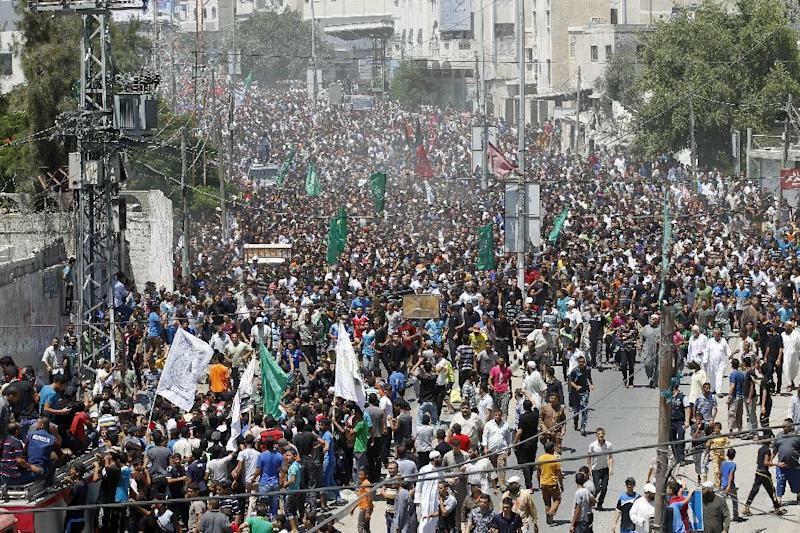 "Hamas leaders need to know that we shall not stop now," he said in remarks broadcast by public radio. "Each and every one of them -- the political wing, the military wing, abroad or in Gaza itself -- needs to know that he is a legitimate target for assassination as long as they continue... to threaten Israeli citizens," Lapid said. On Tuesday, Israel tried to assassinate Hamas military chief Mohammed Deif, who has topped its most wanted list for more than a decade. That attack levelled a six-storey building in Gaza City, killing two women and three children, among them Deif's wife, his infant son and three-year-old daughter.